Forex trading is ubiquitous in the business world. It can be seen in the media from TV, cable stations to online news sites and in financial-oriented websites and, of course, in Forex trading blogs. But to get to the basics of Forex trading is what this article is all about. Certainly, the topic can be seen in different media but not all people understand what Forex trading is and how it may change the lives of Forex trading risk-takers. Forex trading is a method of financial trading in which one currency is purchased in exchange for the sale of another currency. For example, your US dollars can be exchanged in another currency, for instance Japanese yen or British pound. Foreign currency rates fluctuate at numerous times throughout the trading day, in some cases meaning large amounts of money are won / lost, dependant on how experienced and successful a trader you are. Supply and demand is one key factor which makes this type of trading one of the most volatile of all time. No doubt you’ve heard of these success stories of how Forex traders have earned millions of dollars each year in high volatile trading, it’s not as simple as people make it out to be. People compare Forex trading like gambling at an online casino establishment but the tactics involved are far from similar. Changes to the market happen quickly and in most cases without prior knowledge so it’s essential to establish the basics before trading in Forex for good. The exchange of money in Forex trading is common to many travelers who exchange the bills of their country of origin to the banknotes of a foreign country they are currently staying in. It is common knowledge that a country only accepts a certain currency for their businesses unless this country has common agreement with a certain country to accept a currency of another country in their business transactions. However, let us say an American traveler who wishes to purchase a product in a shop in Britain cannot use hi US banknotes. Thus, he would be compelled to exchange his American bills to British pound sterling. The foreign exchange market is a volatile type of financial market. The reason for its volatility is that in Forex trading, the value of a currency in relative value of another currency continuously changes due to the ongoing demand and supply. Forex trading happens 24/7 except on weekends. Perhaps, the best part of this financial market is that it is highly liquid. Because the currencies are traded in volumes, traders in Forex trading can receive gains in cash once their currencies are exchanged in another currency on the spot unlike other financial markets such as stocks where investors will have to wait for a certain period to exchange the stocks into cash. Forex trading can be fun but it is not a trading game for all. As stated, it requires knowledge and an ample amount of it to participate in Forex trading. Perhaps, those who have considerable wealth and hedged currencies can partake in Forex trading. But one can still start if curiosity sets in. It is very advisable to learn first the basics of Forex trading though. Why is Forex trading a game ? The foreign exchange market is a widely distributed financial market that deals with the trading of different currencies. In this kind of global financial market, forex rates are always involved. To the people who are engaged or who are still planning to engage in foreign exchange trading, knowledge on forex rates is really of prime importance because they are the ones that are primarily and mainly tackled in the forex market. Basically, forex rates are exchange rates between currencies involved. Forex rates then are those in which one currency is exchanged to another currency. Forex rates and even other exchange markets are very important for the global economy because they help in businesses involving international trades and investments. Since the term “rate” refers to ratios and proportions, forex rates then mean the value of one currency against another currency. To better understand this, an example is given. Say for instance you have 10EUR then it was exchanged for 100USD. The foreign exchange rate then is that 1EUR = 10USD. To put it into perspective, forex rates are simply the value of a certain curreny as compared with another currency. Other money dealers usually have different forex rates as compared with that of the retail market. This is because they also incorporate their profit in trading in order to have higher gains. Otherwise, going into forex market would be useless. Many people actually wonder why forex rates keep on changing. As people may have observed, forex rates can never be static for a number of days. Every single day. Forex rates either go up or down depending on the economic status of a certain nation. Why Forex Rates Change ? Purchasing Power: This theory is believed to be one of the most important reasons why values of currencies as compared with other currencies fluctuate, thus, the change in Forex rates occur over time. Some theorists believe that the value of goods should be of the same amount in different countries. Following this theory, countries that sell goods at a cheaper price shall increase the value of their currency as compared with those countries that sell the goods at a higher price. This then would lead to the strengthening or even weakening of a certain currency against another currency. Interest Rates: The next reason why Forex rates change is due to the changing interest rates. Relative interest rates refer to the size of the disparity between the agreed or the real interest rates against the inflation rate. If interest rates increase, then the Forex rates also have to adjust in order to compensate such increase. Trade Imbalances. If there is a trade deficit between two countries, Forex rates become unstable. Forex rates start to change because there will be an imbalance of currency reserves between the countries involved due to the fact that there was a deficit in trading between them. Unstable Government. As always, the economy’s strength will always be affected by politics. If a government that is true run a country, it builds confidence to its people as well as its foreign investors. With this, the country’s economy rises, thus, Forex rates also strengthen. However, if the government is so ill, the economy also becomes unstable leading to the weakening of Forex rates. Interventions of Government. The value of a currency is so significant for the government in order to build a wealthy country and a wealthy people. If the government is able to intervene with the economic demands of foreign investors, like the production of domestic goods for export, the economy will also rise, therefore leading to a change in Forex rates. Speculators: Last on the list are the speculators. They are those who have the purchasing power to buy or sell any currency. Their actions usually have significant effects on the fluctuations of Forex rates because again, they are the ones who purchase or sell the currencies. Forex is the shortened version of ‘foreign exchange’. Trade indicates buying, selling or even holding. Forex trades thus suggest an exchange of different currencies. Since it is an example of a commodity that experiences a minimum loss of value when one sells it, it is classified as a liquid asset. Foreign exchange is adored by traders who constitute a large number. These can include banks, firms, governments, investors and many other financial establishments and/or practices financial speculation and engage in Forex trades. Moreover, electronic options of holding an account and gathering lessons related to Forex have been increasing drastically and have definitely contributed to the resulting number of Forex trades. The places where Forex trades are beloved include UK followed by US and Japan, while its popularity is increasing everywhere i.e. all over the world. However, since UK, especially London is a major player, its market price is used whenever a currency’s most current price (at which an asset or investment has been bought, sold or held) is demanded. This is the so called quoted price which is the technical jargon used in the world of Forex trades. Forex trades and markets have a special and noteworthy member, namely, central banks. Central banks are responsible for managing important parameters such as interest rates, inflation in addition to their role in monitoring any money supply. Retail Forex traders are other important components that play an active and dynamic role in Forex trades. The currencies that are the most traded include the US dollar which occupies the first place followed by the euro and yen. It must be noted that Singapore and Hong Kong are notable trading centers too and play important roles in Forex trades. Forex trades are very exciting for those who are interested in how money flows and the effects of political issues on currencies. It is astonishing when one observes that not only the actual flow of money but even the expectation of fiscal flows can have an effect on exchange rates. Changes in GDP, interest rates in addition to expectation of inflation or change in rates can lead to noticeable effects. Thus, a career in Forex trades is a curious mix of psychology, politics, statistics and economics. One has to be well aware of the major events happening all over the world. When one thinks about how complex this can get, especially the prediction of markets in the future which is essential to most of Forex trades, one can appreciate the role of all the decision makers in Forex trades. Thus, decision making isn’t trivial when one is involved in Forex trades, especially if you’re considering a career in Forex and currency trading. Some of the well known techniques include visuals in the form of graphs and charts that are available in most sites dealing with Forex trades. Candlestick charts are examples of graphs that assist decisions related to Forex trades. It essentially illustrates the way price of currency has moved in the past. It has Japanese origins and fundamentally consists of a bar and a line chart. This chart is very popular and most of the online sites that deal with Forex trades feature this figure. Determining Forex rates depends on the type of exchange rate regime. If it is a floating exchange rate zone (that is, the currencies can vary depending on the Forex trades and market), then there exist several theories that have been developed to compute these rates. Canada, United States, Australia, Brazil are some examples of countries with floating exchange rates. Some of the concepts that can be used to find out these rates include interest rate parity (gives a relationship between exchange rates and interest rates), relative purchasing power parity (gives the relationship between rates of inflations and exchange rates trend between two countries), International Fisher effect (which claims the difference in the nominal rates of inflation determine the desired trend of exchange rates between two countries) and Domestic Fisher effect (which claims that fiscal measures don’t determine the nominal interest rate). Nevertheless, it must be noted that these concepts are based on ‘ideal’ conditions and assumptions, most of which are not witnessed in practice in Forex trades. With the growing number of internet users and electronic means of handling and obtaining financial data, information is at the fingertips of anyone interested in Forex trades and this is a very attractive feature for most people and has led to a tremendous rise in Forex trades. In conclusion, the idea of Forex trades is a widely used concept that has inspired many investors, speculators and even writers. There is a vast amount of information related to Forex trades available in the form of books, online articles, blogs and forums, all of which can be used to garner and collect recommendations and advices from the experienced traders. FX trading (also referred to as Forex trades or foreign exchange trading) involves trading one currency for another. FX trading is the most influential, most liquid and biggest financial market in the world. FX Trading is performed from 9 p.m. GMT Sunday until 10 p.m. GMT Friday between currency speculators, multi-national firms, large banks, central banks, governments, and individual investors. You won’t believe the amount of money involved in FX trading. On a daily basis, more than 3 Trillion US dollars in volume are being traded worldwide. It’s the biggest form of financial transaction in the world. Initiated in 1944, the Breton Woods Agreement was forged in an effort to keep cash from draining out of war-wretched Europe. Currency flows were held to only 1 percent against the US dollar, which was limited to the price of gold at 35 US dollars per ounce. The modern period of FX trading first came into existence in 1971 with the downfall of the Breton Woods Agreement. The US dollar was no longer convertible into gold and market players were liberalized to scale down foreign exchange rates, heralding a rise in trading opportunities and currency market volatility. The collapse in 1973 of the Smithsonian and European Joint Float agreements also ushered the real start of the free-floating FX trading exchange system that drives the modern market as we know it today. How Does the FX Trading Work? The main mechanism of FX trading is not very hard to understand. Each currency has its own exchange rate which is primarily used to convert it into a different currency. A single US dollar can be exchanged into 0.702395167 euro. This currency pairing becomes the USD/EUR currency exchange. Any person nowadays, who has an internet connection, can take a part in the FX trading market through a Forex broker. Take note that the governing bodies and legal systems such as the US Securities and Exchange Commission usually tends to demand certain compliance and requirements on the FX trading processes, which people must follow. It is common sense on the part of newbie or expert traders that FX trading does not make you a millionaire overnight. FX trading demands a lot of hard work, patience and dedication. In addition, you must be careful, prudent, and wise before shelling out money to gain profits. Since the US dollar is used as a barometer for trade and investments, it is sometimes called as the measurement currency. A trader or financial investor basically pours out, say $5 into euros of the same amount and then waits for results. If the European Union does well financially, then the price or value of invested euros appreciates where the trader can turn the currency into dollars that would enable the FX trader to have gained about say $7. A trader must be well-equipped to understand the complexities involved in FX trading in order to succeed in this global money market. You can register with broker who deals in FX trading so as to make legal and secure trades in the market. Make sure that you sign up with a regulated Forex broker who has authorization by a regulatory body to receive and transmit your trades. Safe investment however is just about having a regulated broker. FX trading investors exchange currencies or initiate dealings and trades on the basis of rates given at the time of the trade execution for reasons that might have their sources hinged on speculation which can lead to profit or simply for reasons of having an amount of a specific currency that they need to conduct from their day to day business activities. 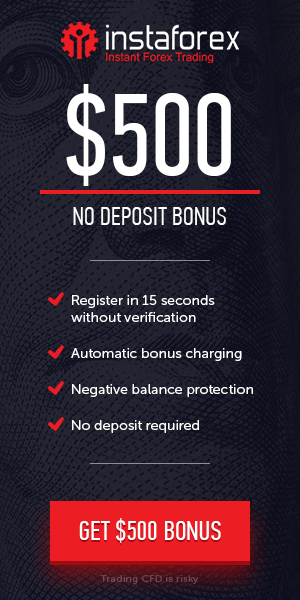 The unique features which distinguish online FX trading are solely based on its huge trading volumes, its capacity to have no geographical limits and its ability to offer constant flow of operation from the given period of trading. In addition, the online FX trading market is very attractive due to the extensive variety of products that are offered and the choices to trade more than 70 global currencies from any remote location around the world. It also gives any businesses or private entity an account with an FX trading broker that will offer him the service of an FX trading platform coming together with all the added features including banking service, customer service and the ability to manage account options. FX trading is a high-reward yet high-risk investment. Fortunes can be made and lost every time a currency fluctuates with high volatility and changes value. The small investor is at a disadvantage compared to huge banks and big private financial firms for two major reasons: under-capitalization and wider spreads. The nature of the FX trading market means that the smaller the money being risked, the greater the value fluctuation needs to be before a venture becomes successful for any greenhorn or even expert money marketer.